O2 has announced that it has over two million iPhone customers in the UK, despite losing the exclusivity on the device. 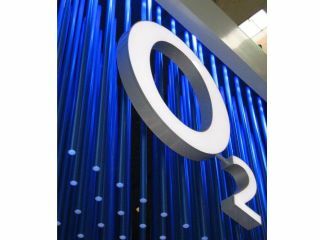 O2's CEO Ronan Dunne has stated that despite losing the exclusivity on the device to the likes of Vodafone and Orange, the two year deal has kept customers coming to the Telefonica-owned network. "It will take a long time before that goes away," he said, before adding that the Palm Pre, which O2 also has on an exclusive deal, has helped keep sales strong at the end of 2009. O2 has seen a minority of customers complain about the data coverage they were receiving, particularly on the iPhone, but Dunne stated that the company was enjoying market-leading churn, meaning it was losing fewer customers than any of its rivals when contracts expired. Vodafone has been making alternative claims recently, telling Mobile Magazine: "A significant number of iPhone users have migrated to Vodafone since we launched the iPhone. "It is quite astounding how many of these new customers have moved to us because of poor network experience. "There is no good trying to sell the iPhone without the right network to support it. We are getting a lot of anecdotal feedback from stores and from sites like Twitter that shows we have the advantage on other networks." However, O2 has refuted the claims, pointing to the new announcement as proof that it is still enjoying the benefits of the iPhone deal.